We continue in the aftermath of the Battle of Shrewsbury. Falstaff, now known as the slayer of Hotspur, has a young page as a servant, assigned to him by Prince Hal. There is news of a second rebellion, led by the Archbishop of York, and Falstaff must leave London to recruit soldiers for the King's side. In the meanwhile, Hal is back in London from the battle and associating with his old criminal friends. But he's beginning to reject them, though part of him does not want to. He knows he has to take on the responsibility of being king soon because his father is very ill. Prince John, Hal's younger brother, is leading the army against the rebels. He meets with them, agrees to their terms, has them disband their army, and then has them arrested and sent to execution. 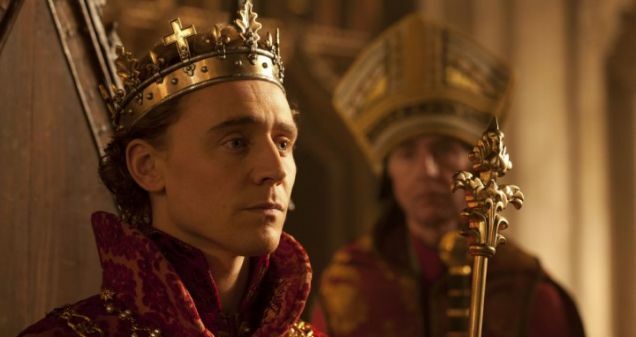 As Henry IV lies dying, Hal takes the crown, goes into the next room and cries. The King thinks his son only wants to be king. Eventually, the king dies. Hal is now king and the court is nervous about what kind of king he will be. At his coronation, Falstaff and a few of Hal's old friends show up. They expect position for being Hal's friends. 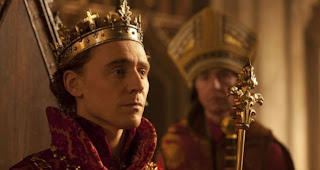 But Hal, now Henry V, orders them not to come within ten miles of him, and then has them arrested. The powerful scene between King Henry IV and Hal just before the king dies. Great performances on both the actors' parts. And, of course, gratuitous sauna scene. And the very last scene as well.